Disclosure: KLY was provided a prize pack for review. After-school snack ideas. The Holy Grail for parents, right? Every parent is looking for that perfect balance of healthy, delicious, and then to top it off, variety! The ever popular and hugely successful Entenmann’s® Little Bites® line has announced the launch of an exciting new snack! 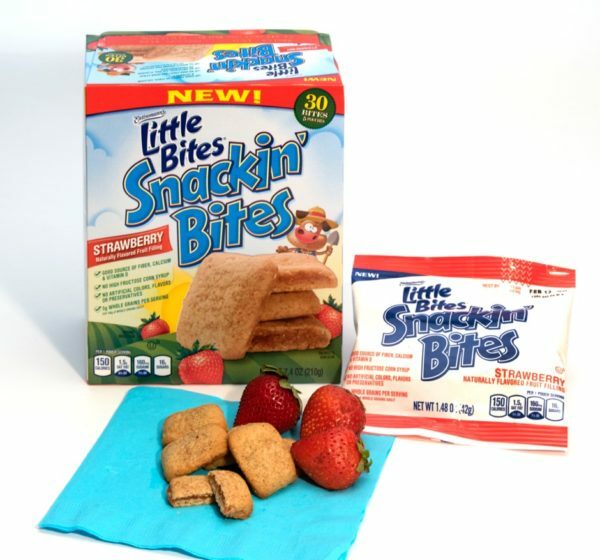 NEW Little Bites® Snackin’ Bites! 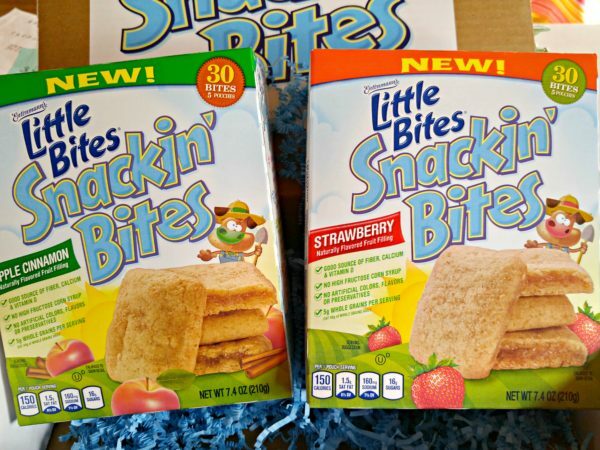 The delicious new addition to the Entenmann’s Little Bites family of snacks is one that parents can feel good about and kids will want to eat. Entenmann’s sent me a box of the Apple Cinnamon and Strawberry Snackin’ Bites. I left them unopened on my kitchen counter. My daughter ran in the house after school and immediately noticed the boxes. Do kids have food-radar? She was so excited. As a blogger kid, she know she has to wait for pictures, but because there are individual packets (how convenient, right?) she could dive right in! Her favorite was the Apple Cinnamon. Each box contains five portable pouches with six individual Snackin’ Bites mini bars per pouch. 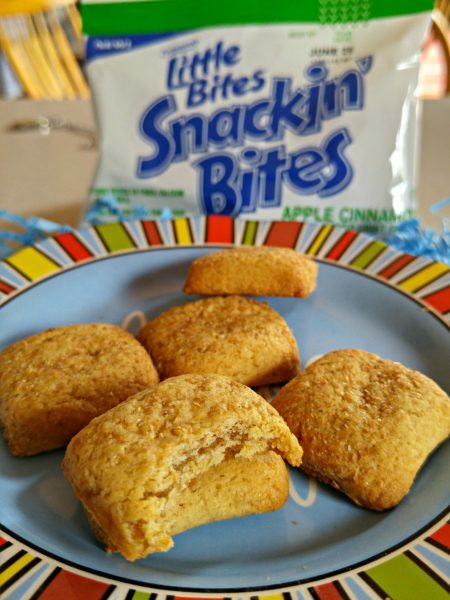 Made with a soft cereal crust and packed with delicious fruit filling, Snackin’ Bites are made with a soft cereal crust and then there is a delicious surprise inside! 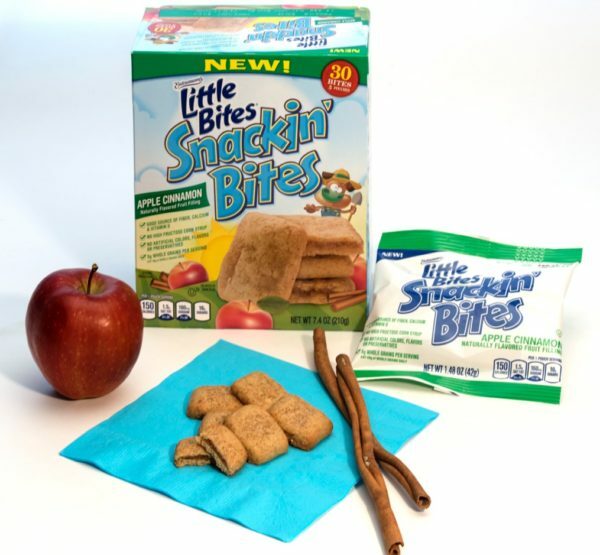 Snackin’ Bites would make a delicious breakfast OR the perfect go-to happy snack! Entenmann’s tells me Snackin’ Bites are also a good source of Calcium, Vitamin D and Fiber. And they contain no artificial flavors, colors, or preservatives. As if that isn’t enough, Snackin’ Bites have 0g trans fat. One lucky KLY reader is going to win a special Entenmann’s prize pack, valued at $45! Two boxes of Little Bites Snackin’ Bites, five Little Bites coupons, and one custom Little Bites Snackin’ Bites USB portable charger! Enter in the Rafflecopter form below and good luck! I want to try them both, but will probably go with the Apple Cinnamon first. I would like to try Apple Cinnamon first. I would like to try the Apple Cinnamon one first. I want to try Apple Cinnamon first. I can’t wait to try the Apple Cinnamon most of all! They look delicious! I would like Apple Cinnamon. I would love to try Apple Cinnamon first. I would like to try the apple cinnamon first. I would try the apple first. Apple Cinnamon sounds so good love to try them . I am most excited to try the Apple Cinnamon flavor. I can’t wait to try the Apple Cinnamon first,I just love that flavor combo!! Can’t wait to try the Apple Cinnamon! 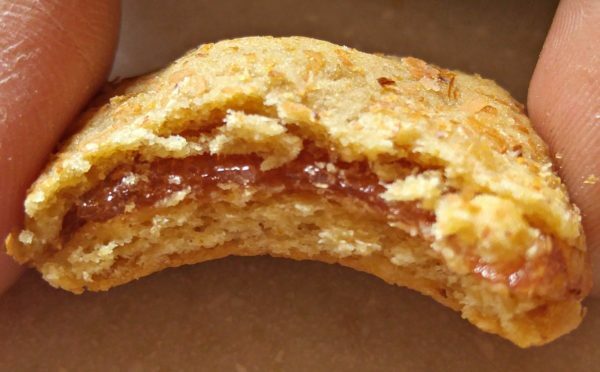 It’s as Entenmann’s as apple pie! I’d like to try the strawberry first! Leave a comment on this post about which flavor you can’t wait to try first, Apple Cinnamon or Strawberry! I’m looking forward to trying the Apple Cinnamon flavor first! I can’t wait to try Apple Cinnamon. They both sound delicious but I would choose apple cinnamon. Both flavors sound delicious. I’d like to try the Strawberry flavor first.. Strawberry will be the first one I try. I would like to try Apple Cinnamon. I’d like to try the strawberry first. I’d love to try strawberry! I would like to try strawberry first. I would love to try the Strawberry flavor first! I think I would try the Strawberry Little Bites first. I can’t wait to try the apple cinnamon flavor! I’d try the strawberry flavor first. I’d like to try the strawberry first. They look yummy. My goodness I would love to say I am different then most of the other people, but I can’t. I love APPLE CINNAMON!!!! I can’t wait to try strawberry. Oh I would love to try the Strawberry first. I am most interested in the strawberry variety.Apple cinnamon is a good option, but strawberry is the more unique of the two. I’d like to try the Apple Cinnamon. I want to try the Apple Cinnamon first. Love to try apple cinnamon. I want to try the Apple Cinnamon First. Yum! I want to try the Strawberry first! Mm mm Strawberry sounds just delicious that would definitely be the first choice then cinnamon apple. I would love to try the strawberry. They all sound good. I would try the apple cinnamon first!